David’s Fish Market & Lobster Pound provides the best and freshest fish, seafood and shellfish on the North Shore of Mass and Seacoast of NH. Our commitment to quality is unequalled. 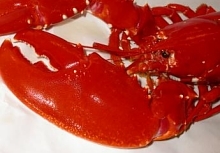 Our selection of fish, seafood and shellfish seafood varies seasonally. Please call for availability.